Introducing The Red Rockin' Grannies Newest Member! Burlesque Queen of the 80s! This is our 2008 lineup of Red Rockin' Grannies in the St. Patrick's Day Parade in Sedona, and we won! Check out Raven's Red Rockin' Grannies Blog! 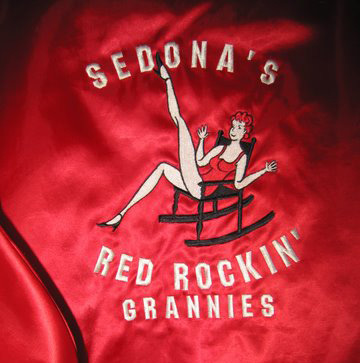 The Sedona Red Rockin' Grannies have been entertaining audiences for over 20 years. Their enthusiasm is contagious - their versatility amazing! 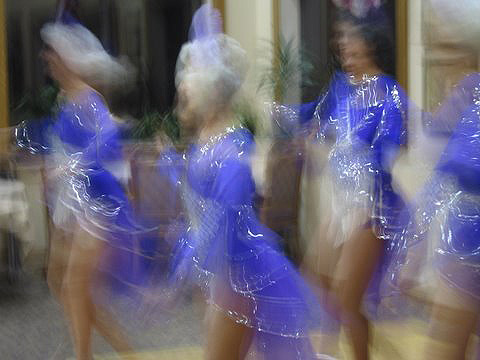 You've heard the expression that life begins at 40 - well not with these ladies - life begins at 50 or 60 or 70 and even 80. For them life begins when the curtain rises and the house lights dim. They truly love to perform, and it shows. 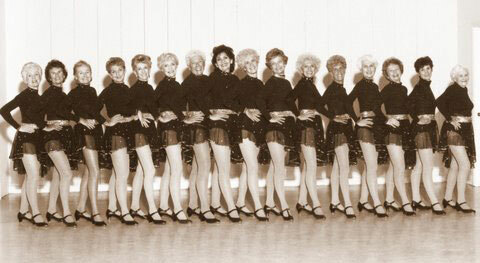 Find out if you are eligible to join the Red Rockin' Grannies, Click Here! 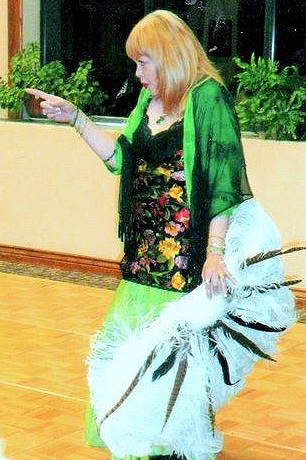 The following photo is called "Granny Spirit Dance"
and is dedicated to Dancing Grannies Everywhere! 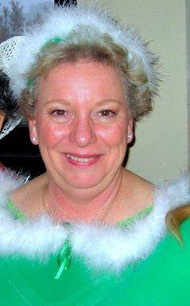 Judy Erickson is our tap teacher & Choreographer. 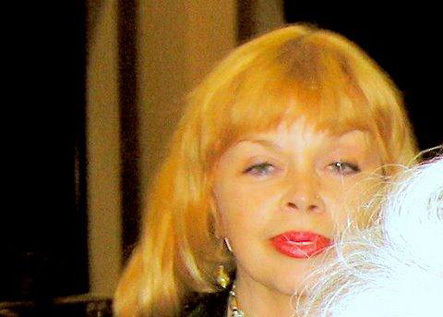 She has studied with: Joe Tremaine; Judy Adler; Stan Mazin & Roland Dupre and besides being a Red Rockin' Grannie herself ~ she is currently Branch Manager of Sedona's CHASE bank. We LOVE her!